The MIT Theater Arts Relocation and Consolidation Project relocated MIT’s Theater Arts Program from the Rinaldi Building to building W97 at 345 Vassar Street, Cambridge. The project was comprised of the partial demolition/replacement of and upgrades to the building façade, fenestration, and roof systems. 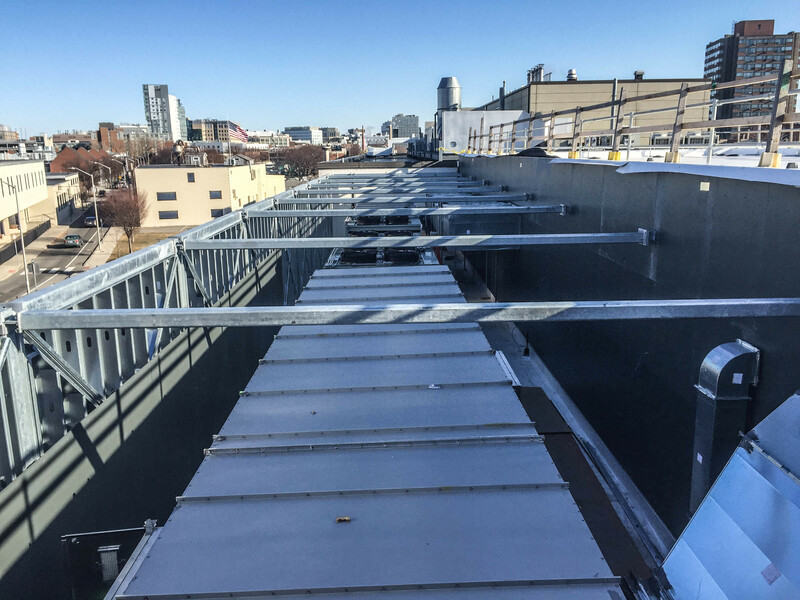 The MEP and Fire Protection systems were completely redesigned and replaced to meet the demands of the various spaces throughout the renovated building. The new Theater Arts facility’s programmatic layout is centered around a two-story central atrium with a large, south-facing glazed entrance which allows for natural light to permeate the space as students navigate their way to the new experimental performance spaces, rehearsal studios, instruction rooms, set and costume shops, performance and stage support spaces, offices, faculty studio, box office, and building services spaces. Stephen Turner Inc. provided enhanced commissioning services tailored to LEED v4 BD+C: New Construction and Major Renovation requirements. MIT selected Options 1 & 2, path 2, which includes both monitoring-based and building enclosure options. Special consideration and analysis went into the development of component-based systems lists for building envelope installation verification and performance testing— specifically grade level waterproofing, fenestration, and roofing systems. Because the building is a theater, careful attention was paid to the airflow rates of the mechanical air handling system to prevent unnecessary sound or vibration in performance spaces. Trend monitoring was performed monthly for a year after the building was turned over in March 2016. Analyzing trend data allows Stephen Turner Inc. to verify proper functionality of the building systems after the building is occupied and turned over to MIT.